Hello lovely! I have swatched the Too Faced Sweet Peach Palette which has quickly become a favorite of mine. It will be perfect for the Spring and Summer months to come though there are no rules to makeup. Wear it whenever, I always say! In my opinion, the color range is quite nice. 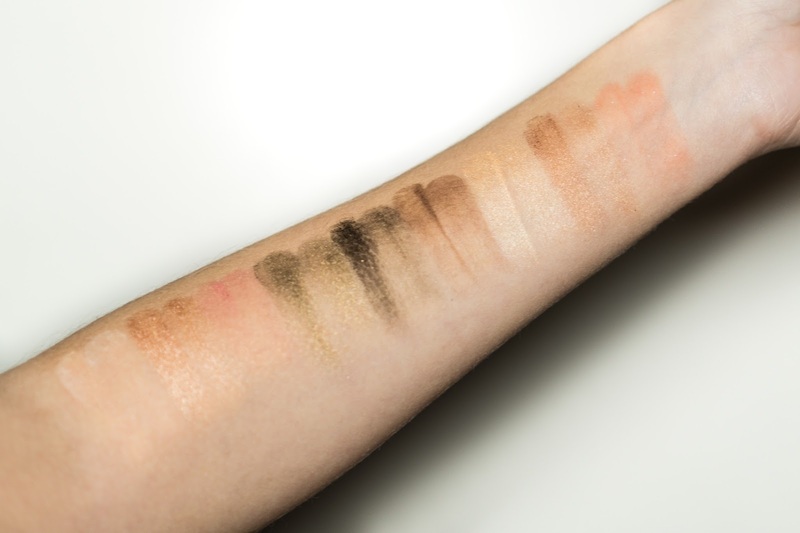 The Sweet Peach Palette does include nice peachy shades but I love the fact that there are browns and purples to deepen a look. I believe you can really smoke it out with colors like Tempting, Delectable and Talk Derby to Me. The variety of colors makes this palette versatile enough to create numerous different looks. I was not a big fan of the 3 chocolate palette line but this one has got my heart! 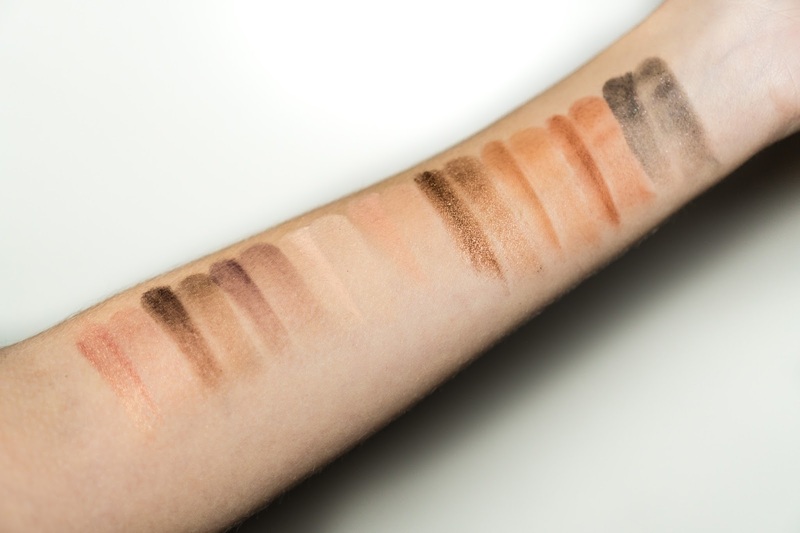 From the photos, you can see that the colors mostly swatch very well even when using an eye-shadow brush. I did not use eye-shadow primer underneath any of the colors so I believe they will perform even better over a nice, smooth base. Most colors felt very smooth and creamy though there are several that did not have a similar consistency to the rest. Peaches n Cream is the most powdery and has a lot of fall out while Talk Derby to Me and Delectable had a rougher feel to them. Those are just a few I could remember from memory that stood out in formula. Overall, I give Too Faced Sweet Peach Palette a big thumbs up! I would love to know your opinion if you have purchased and/or tried this palette. :) I hope you all have a wonderful weekend!